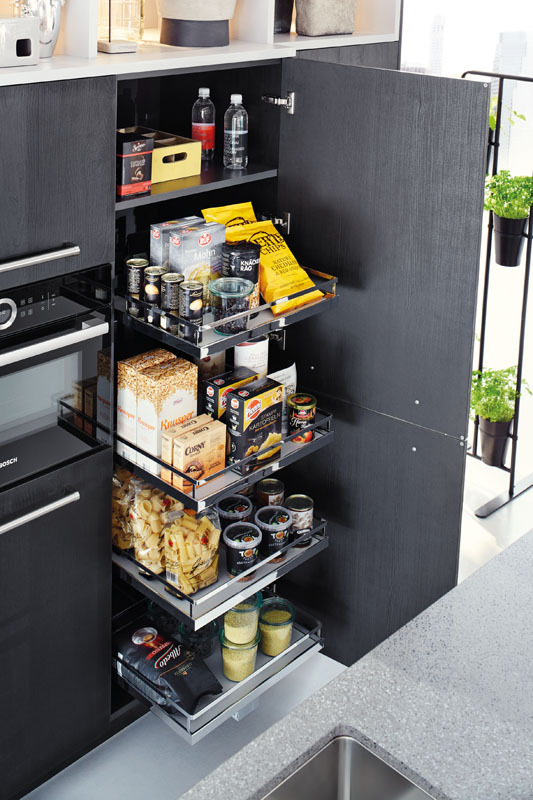 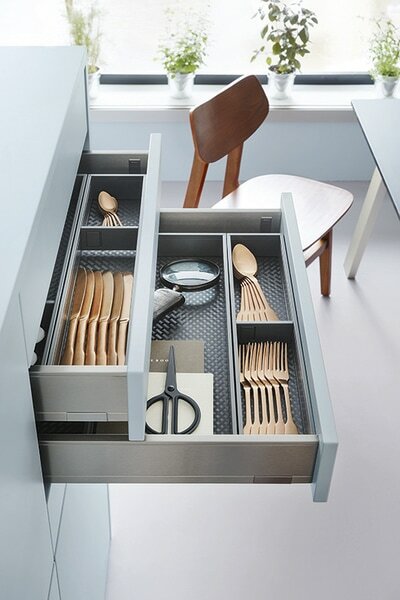 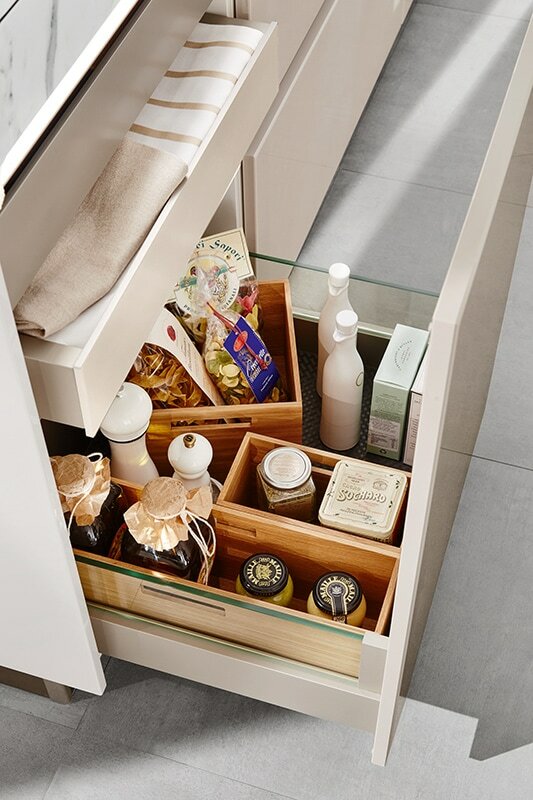 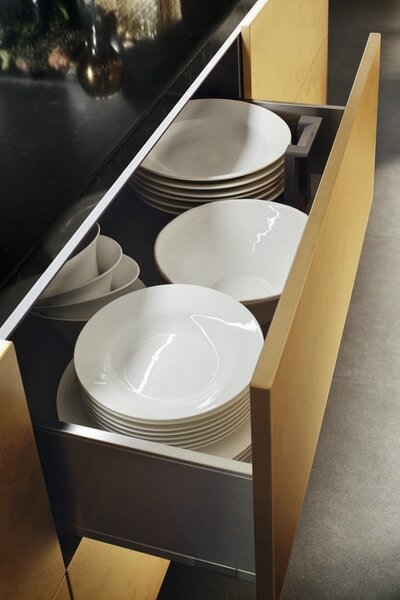 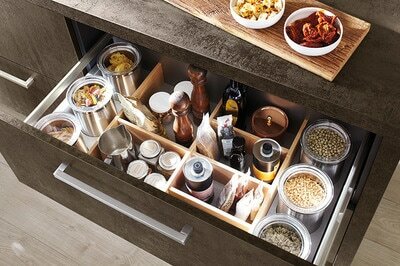 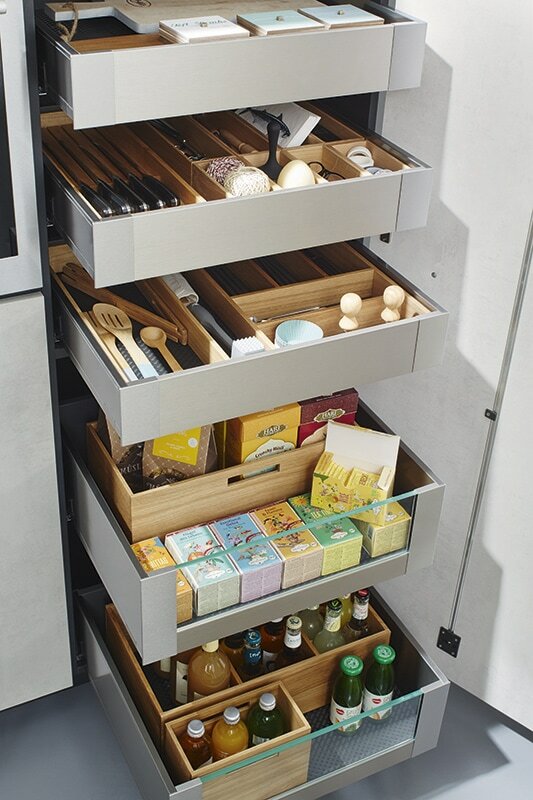 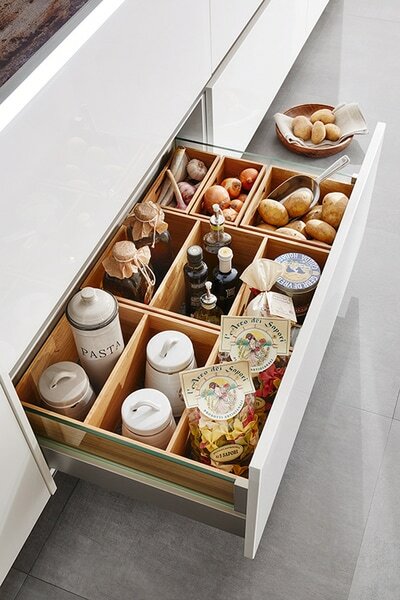 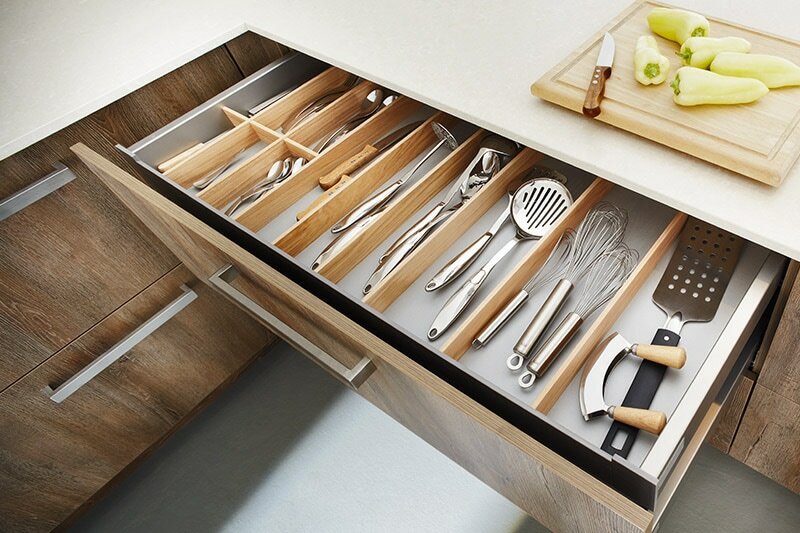 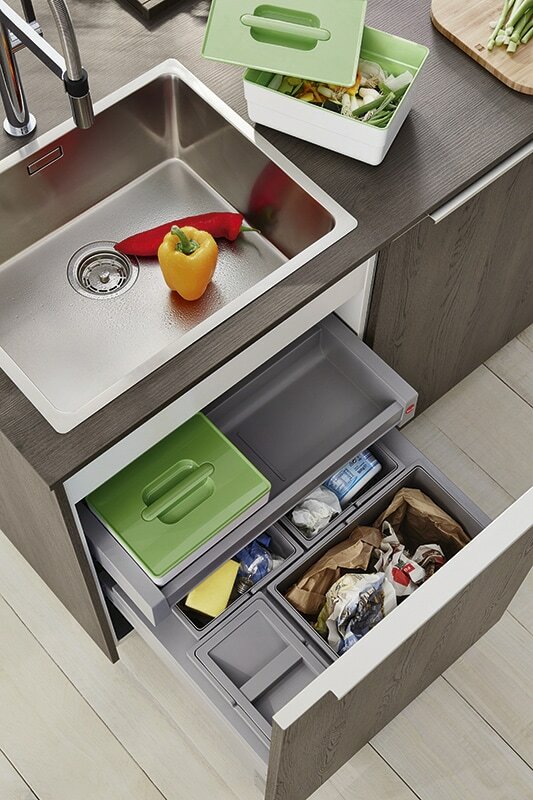 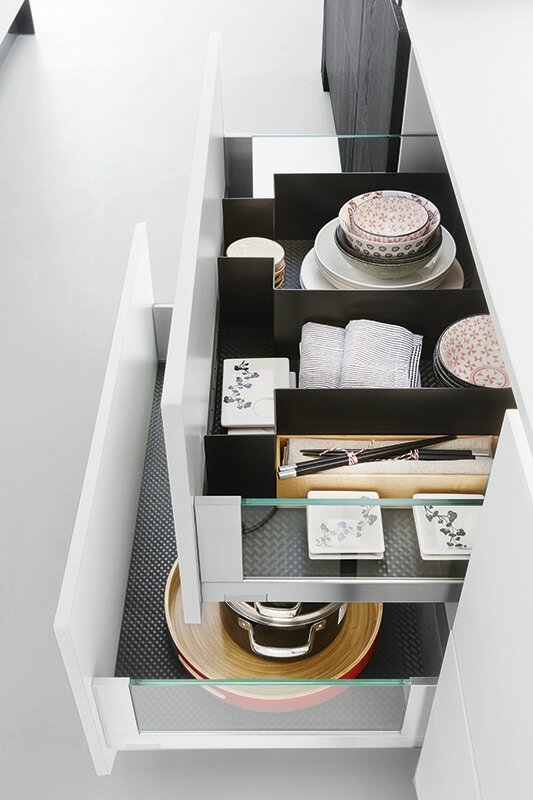 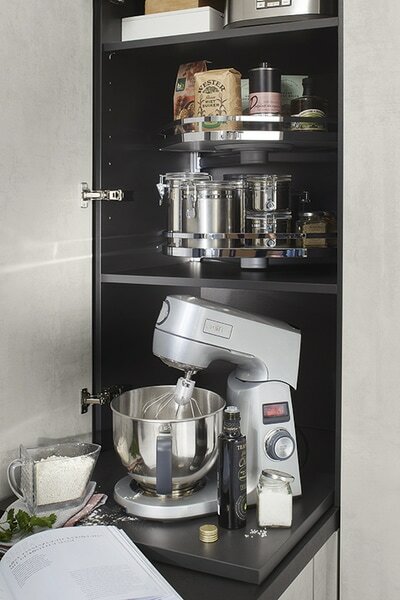 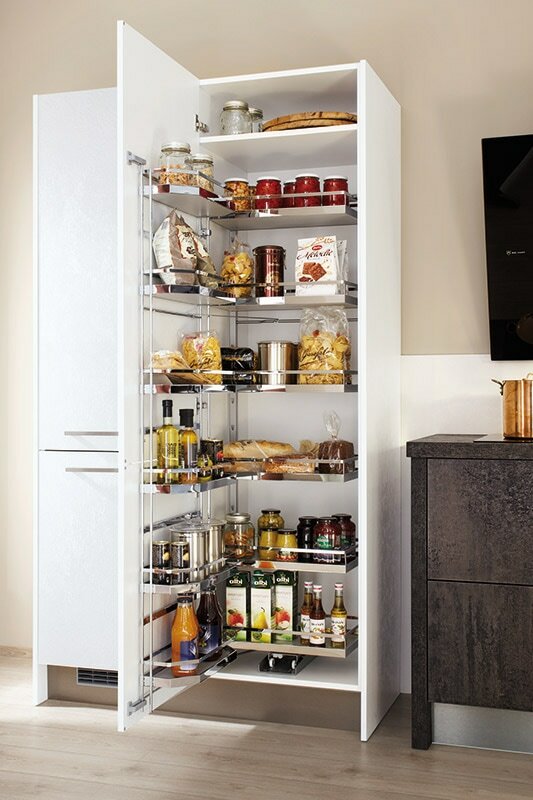 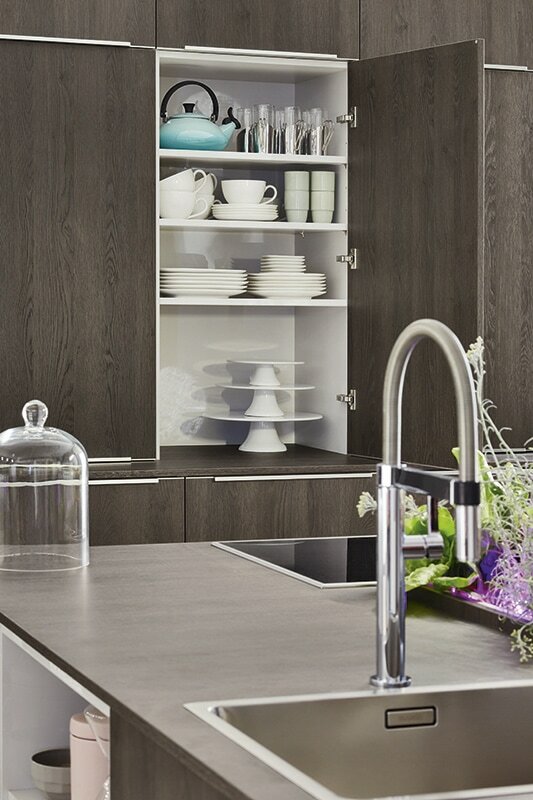 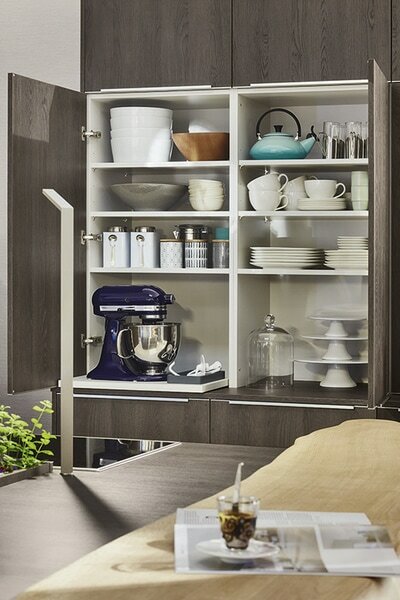 Blum and Kessebohmer are the best and easiest storage solutions you can have in your kitchen! 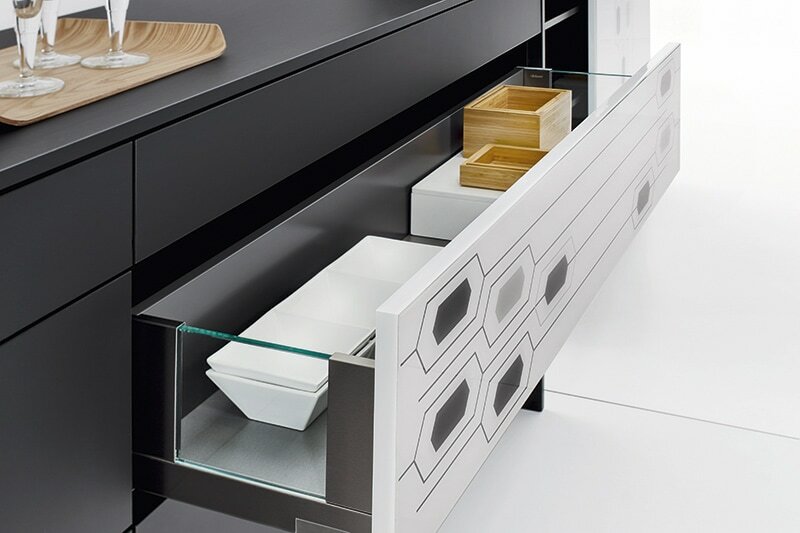 Blum kitchen unit storage solutions and innovations are milestones in furniture manufacturing and are designed to inspire users. Blum fittings solutions make opening and closing kitchen furniture a seamless experience and bring enhanced user convenience. Kesseböhmer strives to achieve the perfect balance between form and function. 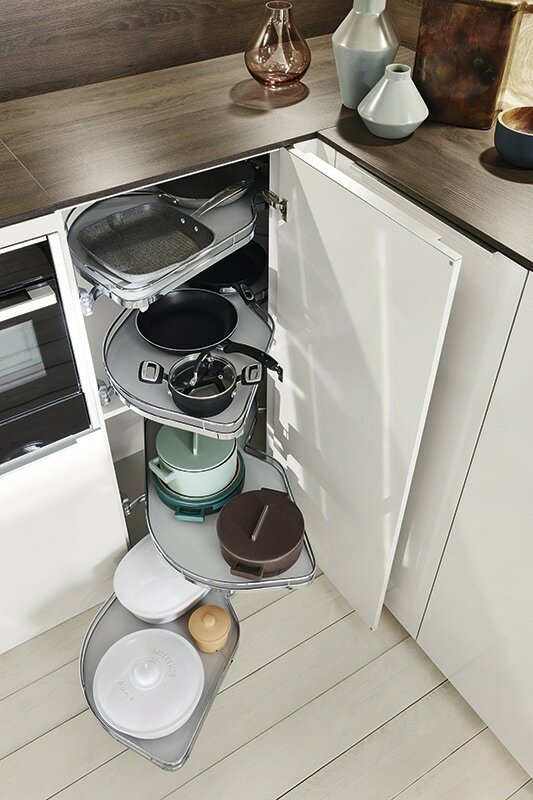 And after 50 years, you can rest assured, they’ve figured it out. 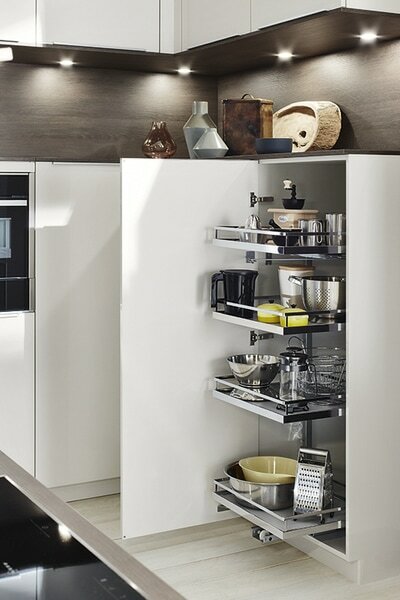 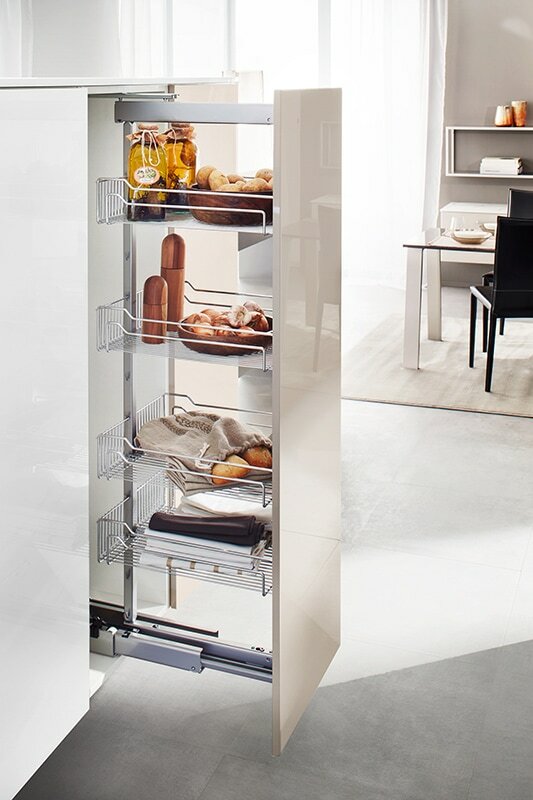 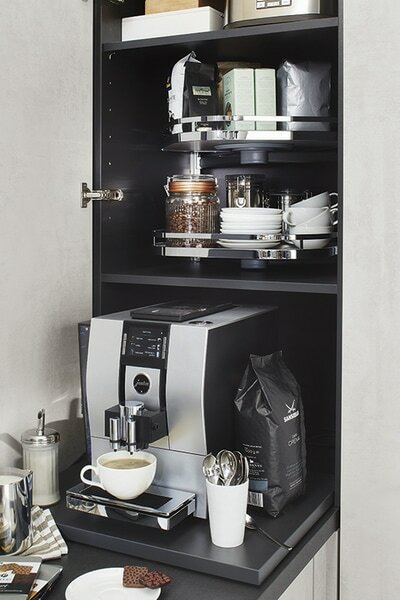 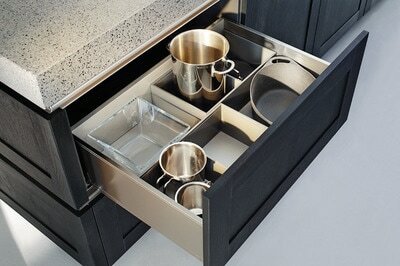 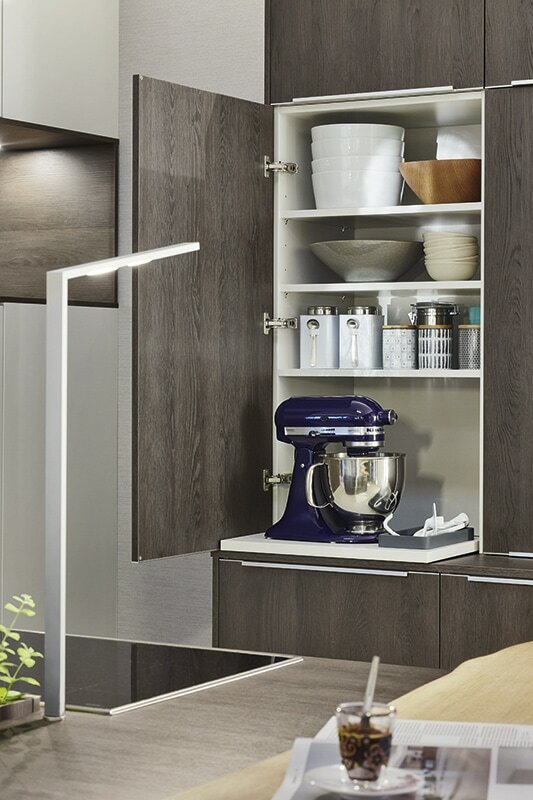 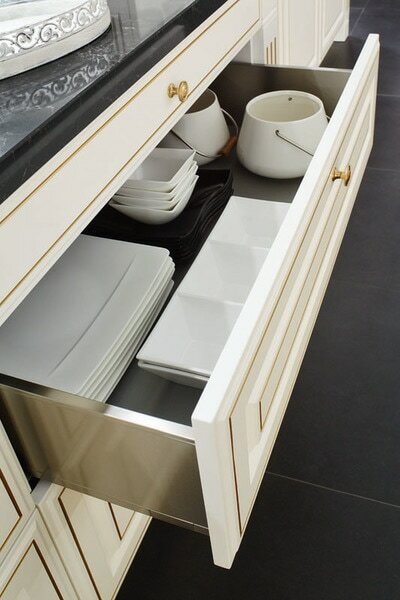 With clever storage that considers convenience for today’s multi-use kitchens as much as it considers capacity.